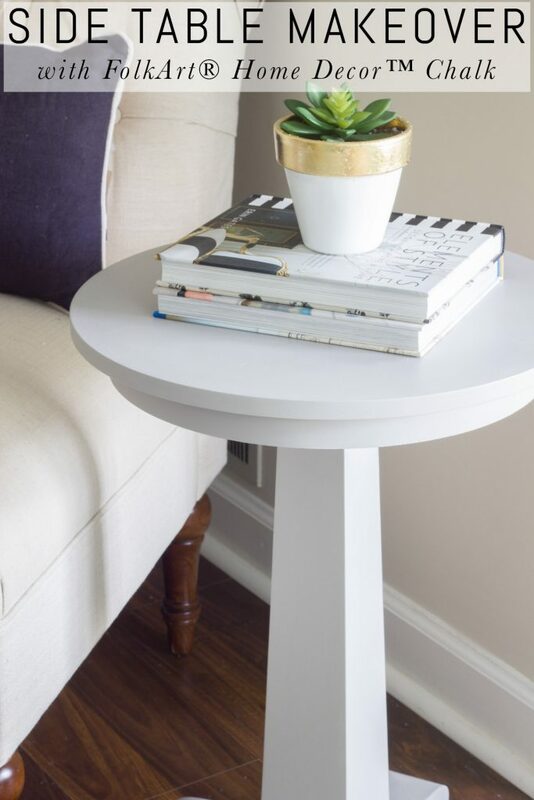 Sometimes a simple coat or two of paint is all a piece of furniture needs to make it look beautiful, and I knew that was the case for this sweet little side table that has been collecting dust in our guest room. Today I’ll show you an easy side table makeover using FolkArt® Home Decor™ Chalk. 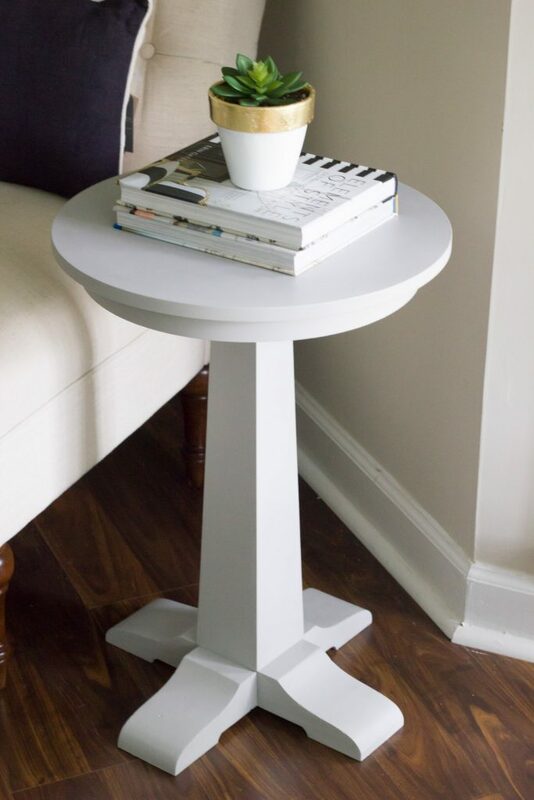 This little table was inexpensive but special, because it was actually one of the very first items we bought for our oldest son’s nursery almost a decade ago. (I can’t believe it was that long ago! Where does the time go?) 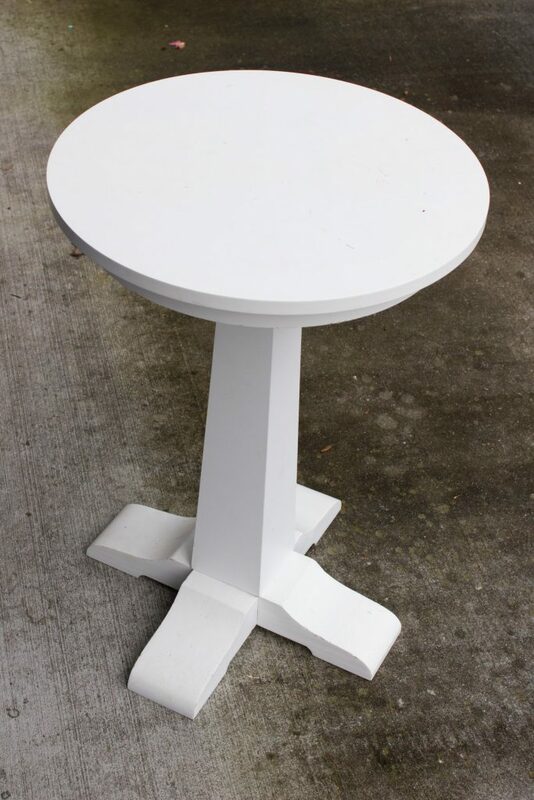 Anyway, the table has seen some wear and tear since then, but aside from some nicks and scratches it’s in decent shape. Nothing a little bit of paint can’t fix. 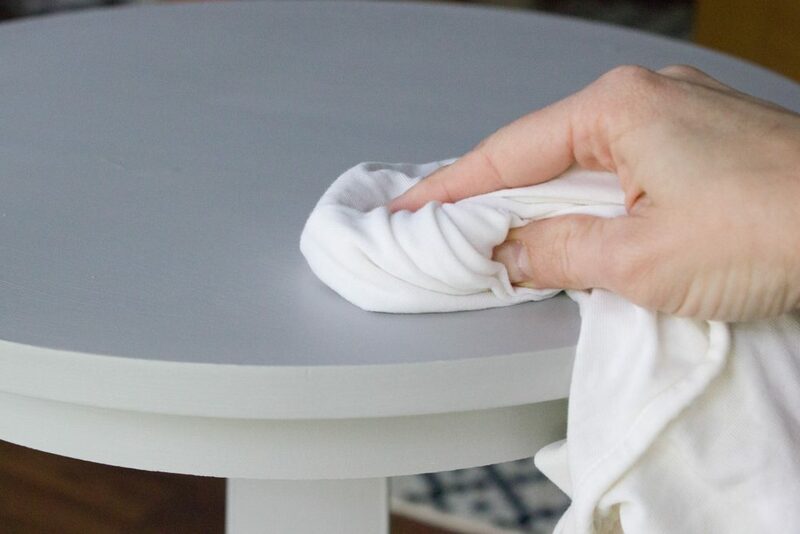 Here’s what the table looked like before. As you can see in the second photo, there was some wear, so it definitely needed a new paint job. 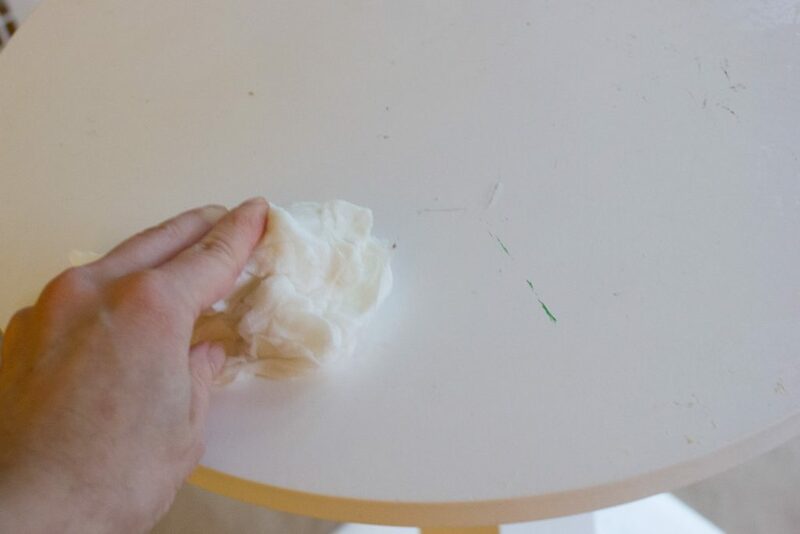 First, I gave the table a good cleaning with a soapy rag just to get some of the sticky goo off of it. (It has “lived” around kids for several years.) I let it dry before painting. 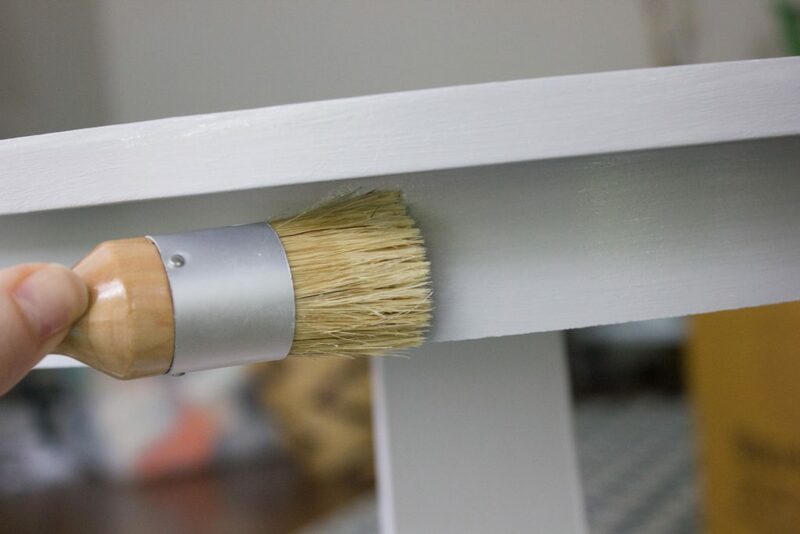 Then, I painted two coats of FolkArt Home Decor Chalk in Parisian Grey, letting it dry for 2 hours between coats. 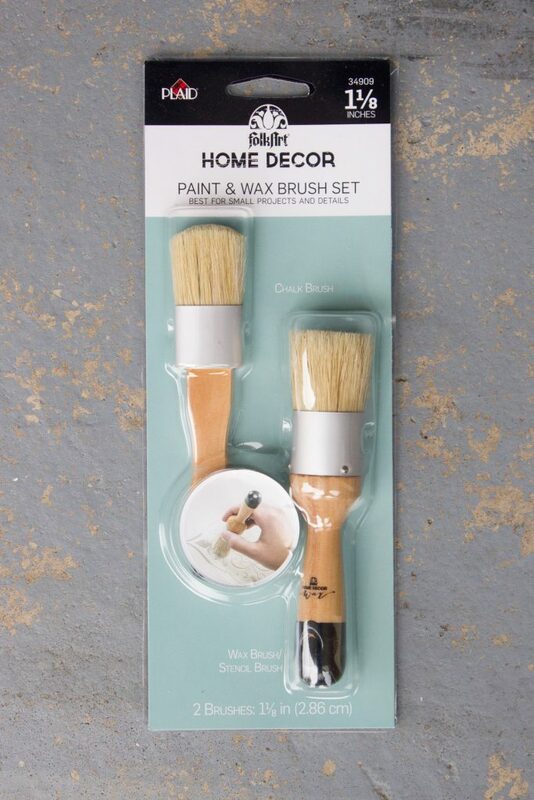 I used the chalk brush from the FolkArt Home Decor Chalk & Wax Brush kit. My favorite thing about this paint is that it requires no prep work. 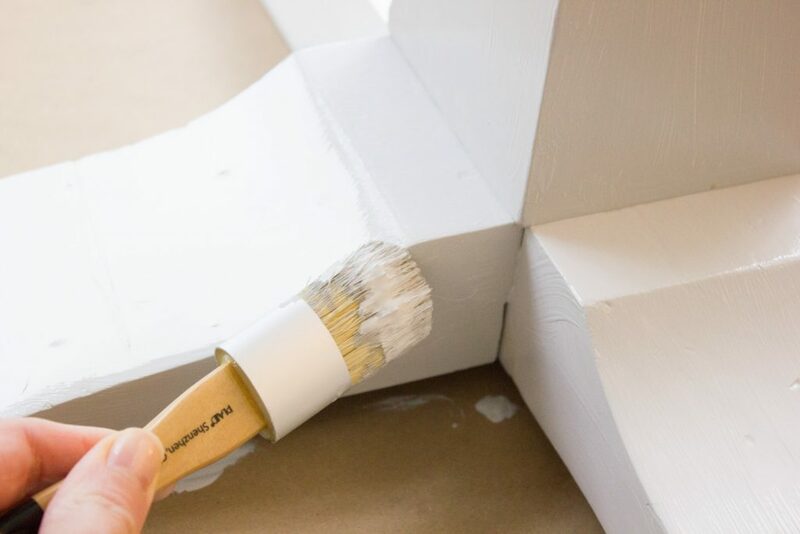 You don’t have to sand or prime first, which is a major time saver. 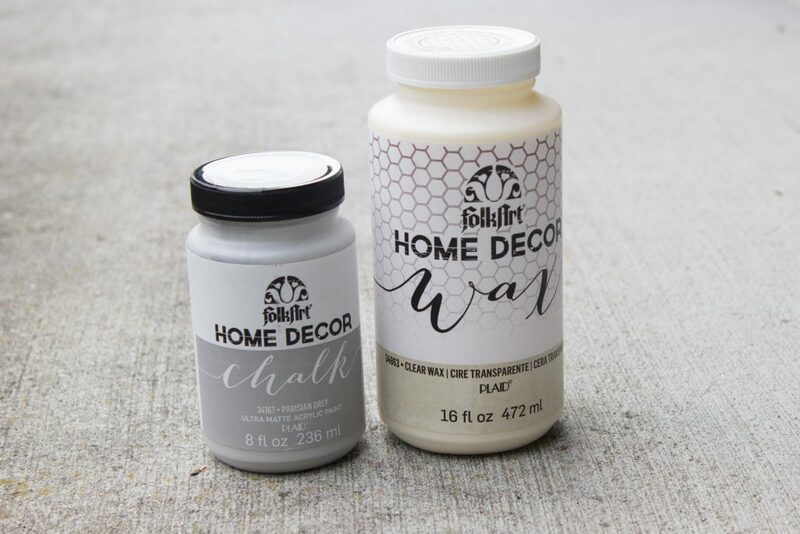 It creates an ultra matte chalk finish which is perfect for layering or distressing, but you can also create a more modern look (which is more my personal taste), by skipping the distressing. This paint is for indoor use, is made in the USA, and is water-based and nontoxic which I also love since it’s perfectly safe to use around my kids. Since I chose to paint on a rainy day, I could do it indoors without worrying about harmful fumes. It also comes in 41 colors and is available in 2 oz., 8 oz, 16 oz., and 32 oz. sizes. It has great coverage, but I did add two coats just to make sure the coverage was sufficient. I allowed the paint to dry overnight (although the label says 2 hours is enough). Then, I applied a coat of the FolkArt Home Decor Wax. 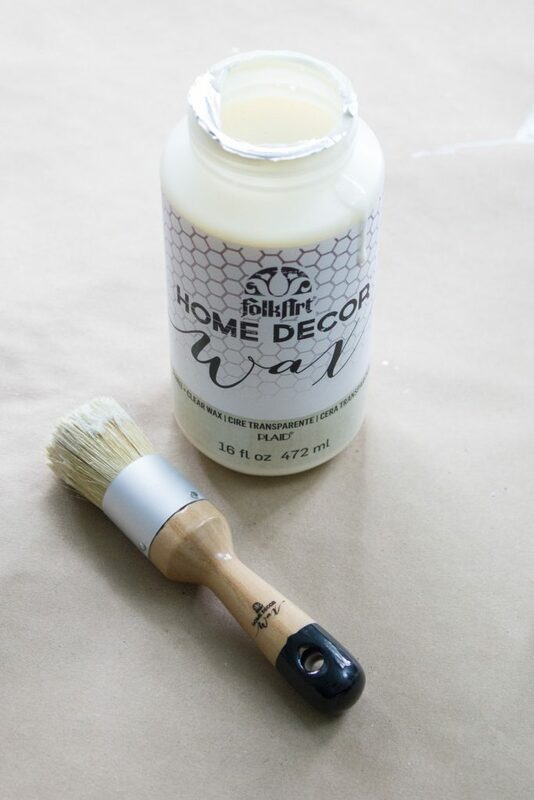 I used the wax brush (which can also double as a stencil brush) from the FolkArt Home Decor Chalk & Wax Brush kit. 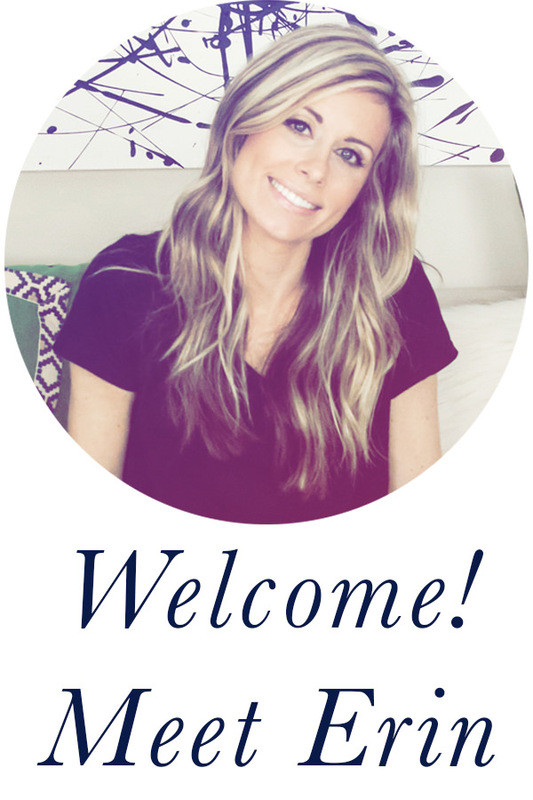 I love the wax because it adds rich texture and depth, and is also water-based and nontoxic. 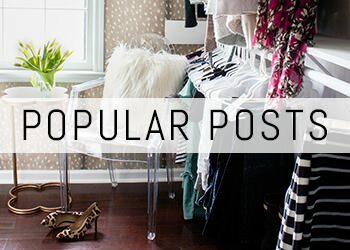 It seals and protects (a must in this house! 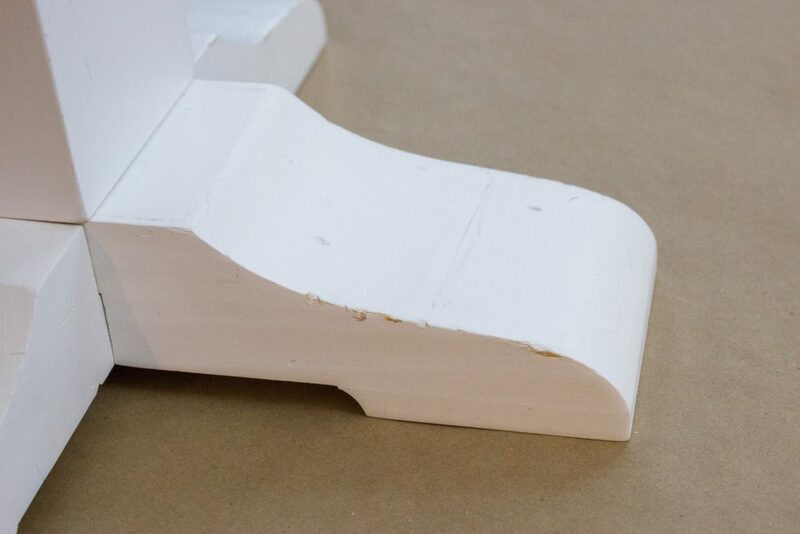 ), and is available in the same size options as the paint. I let the wax dry overnight, and then buffed it with a clean white cloth. 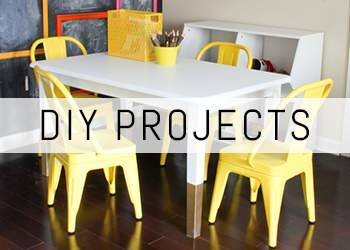 Now our sweet little table has a fresh new look. I love the subtle texture this paint provides. It has such a pretty finish. 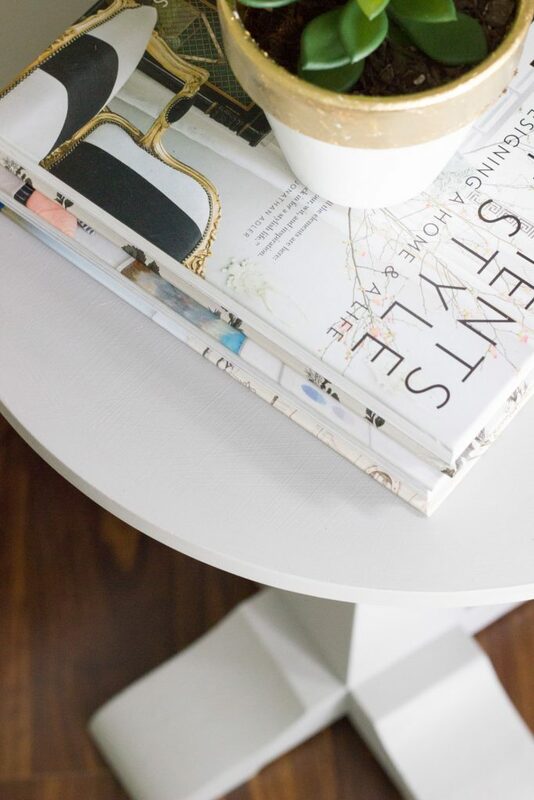 For more ideas and inspiration, be sure to connect with Plaid online and on Facebook, Twitter, Instagram, and Pinterest.